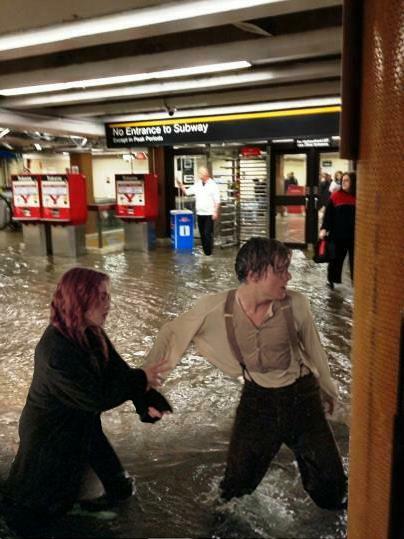 People sure had fun with the images of a flooded Union Station yesterday. 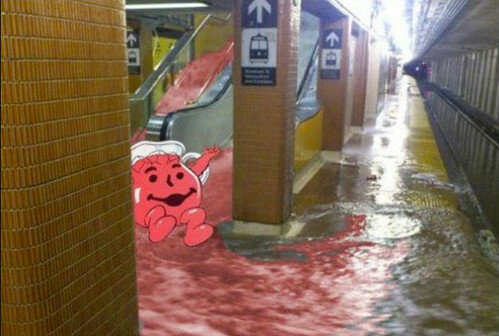 Here are a few of the more popular pix that are floating around. But do the sharks have friction' laser beams attached to their heads? I guess the Toronto Works dept. 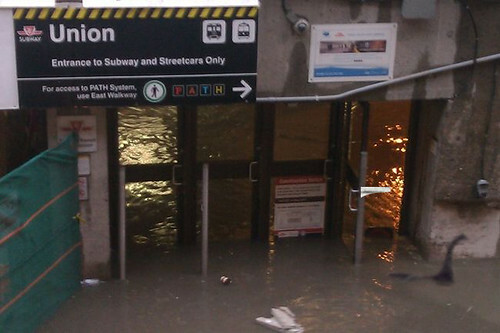 used Rob Ford's cannonball to get rid of all the water at Union Station. 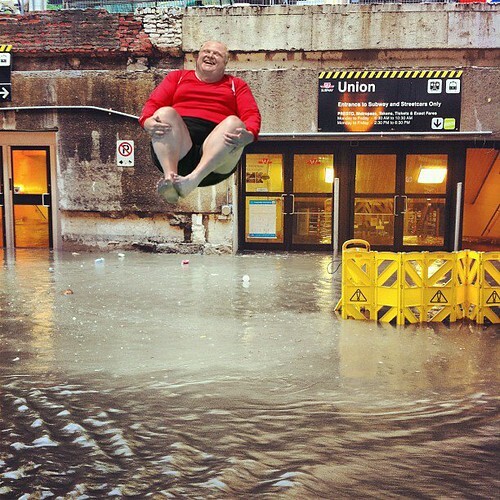 He must have been there all afternoon yesterday just "cannon balling" to save T.Dot municipal tax money. Figured an anti Ford pic would appear, just saying. 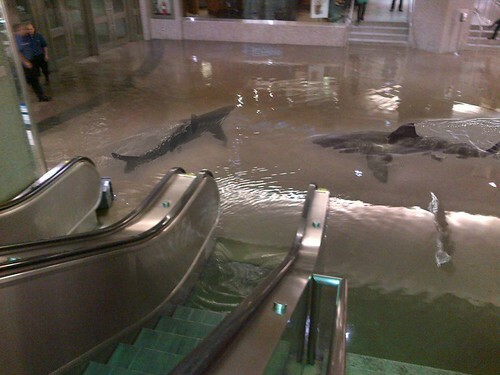 What about the crazy shootings at the Eaton Centre, now that is a real news story. I don't get the third one? The Ford cannonballing is quite funny. The 3rd one is the Loch Ness Monster. is that Col Saunders coming through the turnstile, and ST Voyager's B'Lanna Torres behind Dicapprio?? LOL!! !